We can have a difficult enough time talking to our spouse or kids about money, but how about our aging parents? How do we know they are ok financially to take care of themselves? How do we approach the conversation without insulting them? There are 6 tips I’m sharing with you to make preparing for this conversation much easier. What key word you should always keep in mind when having this conversation. When the time comes to discuss money with your aging parents, you might worry about being threatening, or having your parents feel threatened. So many things happen when you are older; your health may change, your abilities might decrease, and most of all, you might feel your independence slipping away. This is why knowing how to talk to your parents about possibly sensitive subjects is crucial. 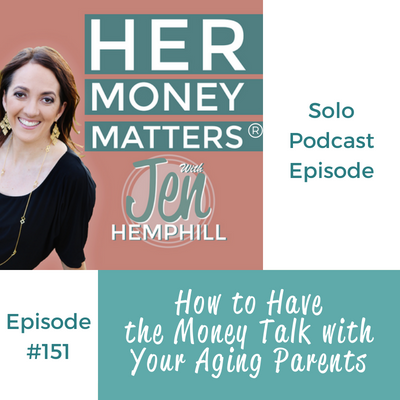 Here are Jen’s 6 tips to successfully discussing money with your aging parents. Start the conversation way in advanced. If you have the opportunity to start the discussion before sicknesses or issues arise, it will make the helping process that much easier. Put yourself in their shoes. You know your parents best. Be sure to chose your words wisely, and always express love and compassion. Share what you have done to prepare for your own future. Sharing what you have done yourself may ease the start of the conversation about their own preparations. This way your parents have the opportunity to ask for help. Offer your parents help. Ask questions like, “How can I help?” and “If something was to happen, how would you like me to help?” instead of telling your parents what to do. Give your parents a heads up on the new scams targeting seniors, especially if they are older. Make sure to ask them if they have had any suspicious phone calls. Make sure you share your interest in helping your parents keep their independence. Be sure to support them. 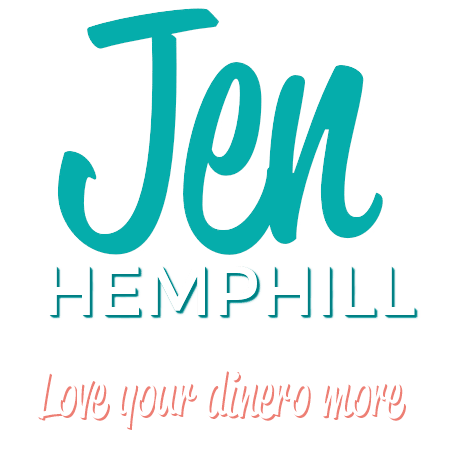 For Jen, her parents actually approached her about their financial situation before she had the chance to ask them herself. Now that they have, Jen knows where all their documents are, how much money they have, the bills they have to pay, and any debts they might still have. Fun Fact: Jen completed graduate school with a Masters in gerontology with the intention of going into public administration to work on policies and programs for the elderly. 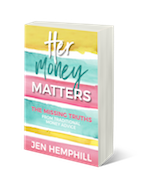 The post, HMM 151: How to Have the Money Talk with Your Aging Parents appeared first on the Her Money Matters Podcast.